Fat cells in the skin have been identified as the source of chemicals needed to make hair grow, according to researchers in the US. Experiments on mice, reported in the journal Cell, suggested hair stem cells were controlled by fat. Injecting a type of fat cell stimulated hair growth in mice which otherwise struggled to grow hair. 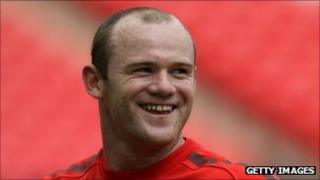 The Yale University team says it may be possible to use the findings to one day restart hair growth to reverse balding. They said there was a four-fold increase in the number of "precursor" fat cells in the skin around a hair follicle when it started to grow. They looked at defective mice which could not produce these fat cells. Hair normally grows in cycles, but in the defective mice - the follicles had become trapped in the dormant phase of the cycle. Scientists injected fat cells from healthy mice into the defective mice. Two weeks later, hair follicles had started to grow. They showed that precursor fat cells were producing a chemical - a platelet-derived growth factor - at 100 times the level of surrounding cells. Injecting the growth factor into the skin of defective mice could kick-start growth in 86% of follicles. The study proposed: "That [fat] precursor cells secrete platelet-derived growth factor to promote hair growth." The US team is continuing to look for other chemicals which may be involved. However, it is not known if the same chemical processes take place in humans. Previous studies in men have shown that bald parts of the scalp had the same number of hair stem cells as hairy areas. Prof Valerie Horsley, from Yale University, said: "If we can get these fat cells in the skin to talk to the dormant stem cells at the base of hair follicles, we might be able to get hair to grow again." The study suggested the fat cells could have other functions involving stem cells such as tumour formation or healing wounds.